Evenings alone at the cottage are few and far between. And it was a perfect day. 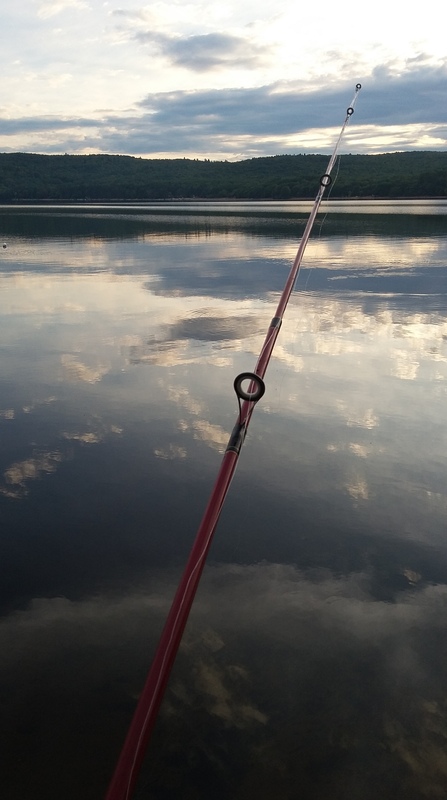 After a swim, fishing (and catching!) seemed like the right thing to do. 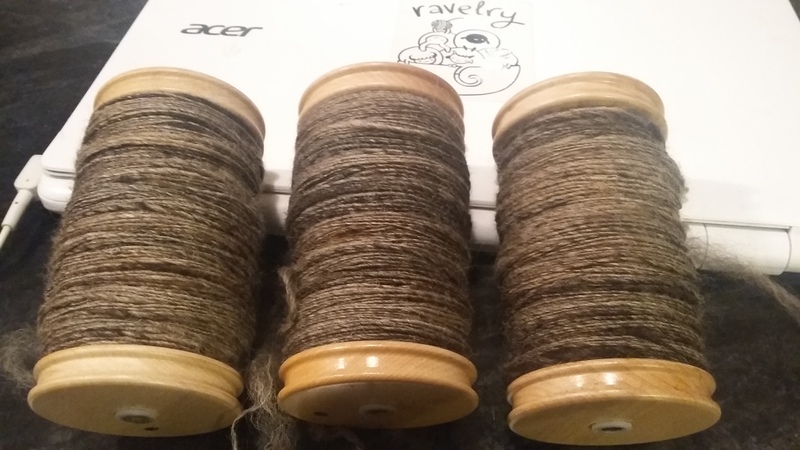 And then an evening of spinning. Much to my amazement, it’s September! Off to a chilly start with frost warnings and cool winds. Today they call for 21 and sunny. Perhaps a day for a swim. I got a good haul at the market. 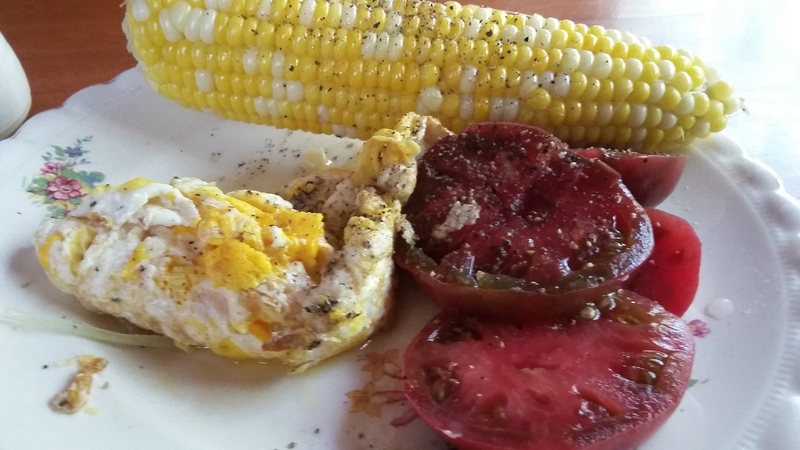 Corn and potatoes from David, carrots, beets, and lettuce from Joanne, and an Oh sooo good apple fritter from some guy that’s been there the last couple of weeks. 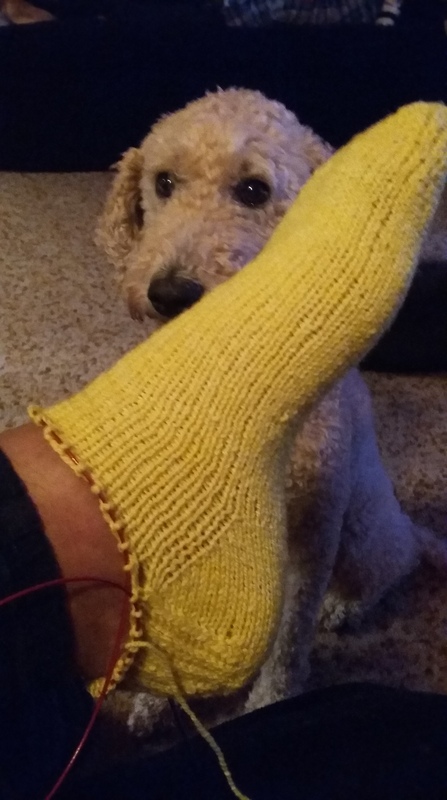 Under Molly’s close supervision I managed to knit a pair of socks with some of the wool I spun and dyed on my vacation. 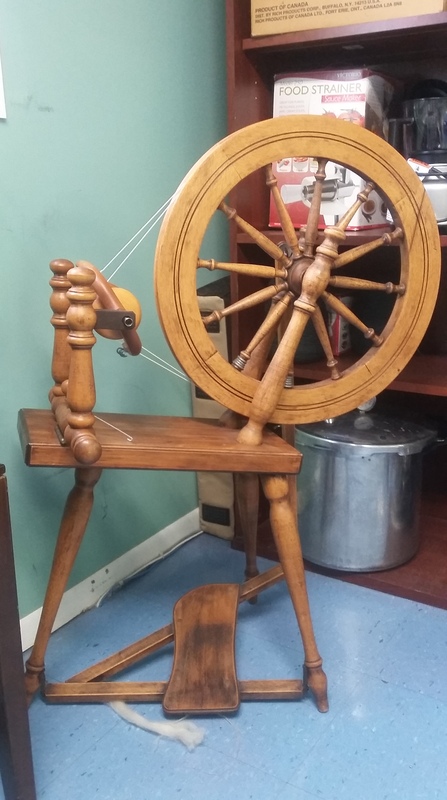 And a friend of mine donated a beautiful old double-drive spinning wheel to me and my work. It’s been tuned up and it spins like a dream. I look forward to creating some beautiful yarn on it – maybe for a sweater project in cooking up. 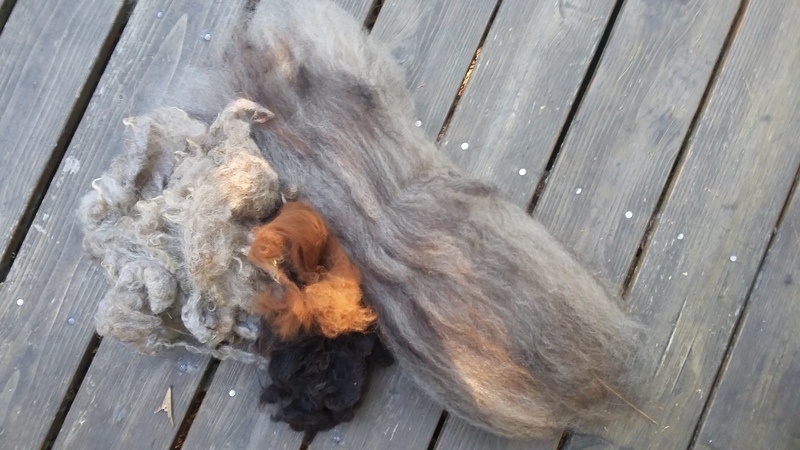 And I plan to card, blend, and spin some wool and Alpaca from my stash to see what I can come up with. It’s a bit of an experiment inspired by a book I just read but if my early sampling is a good indication, I’m well on my way to some lovely yarn, and maybe some luxe socks. Happy Labour Day! Happy New Year!